I was initially very excited by the promise of Adobe Prelude (replacing Adobe OnLocation as of version CS6). 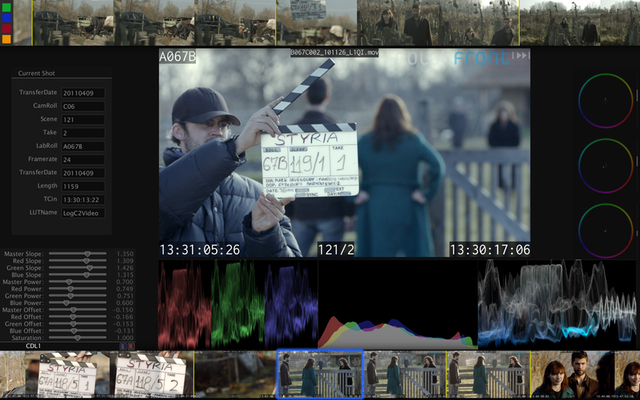 The idea that it can streamline (even automate) the Digital Image Technician’s workflow of copying and checking digitally-sourced footage on-set and making proxies, thus freeing up the DIT to focus on more useful tasks, such as logging information into the footage’s metadata. There’s no way to do anything clever with the metadata. For example, I was hoping I’d be able to produce copies of the clips but renamed to the scene and take number. No such luck. Although this isn’t a case of “Adobe dropped the ball” (it is only the first release, after all), it does seem like even basic functionality that is required by all DITs is missing. Part of the reason this is so disappointing is because they already have much of this working in Lightroom. 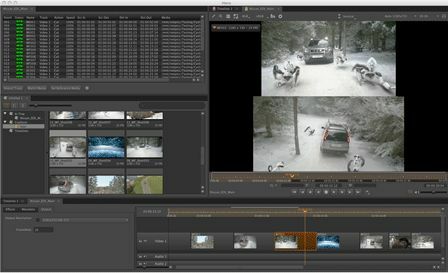 They’ve even structured the UI with a 4-room (ingest, logging, list, rough cut) metaphor along the same lines of Lightroom, but have failed to properly utilise it. It does seem that Adobe is using Prelude to push you into moving the footage into Premiere and then doing more there, but I don’t really want to start moving data between applications at this stage. 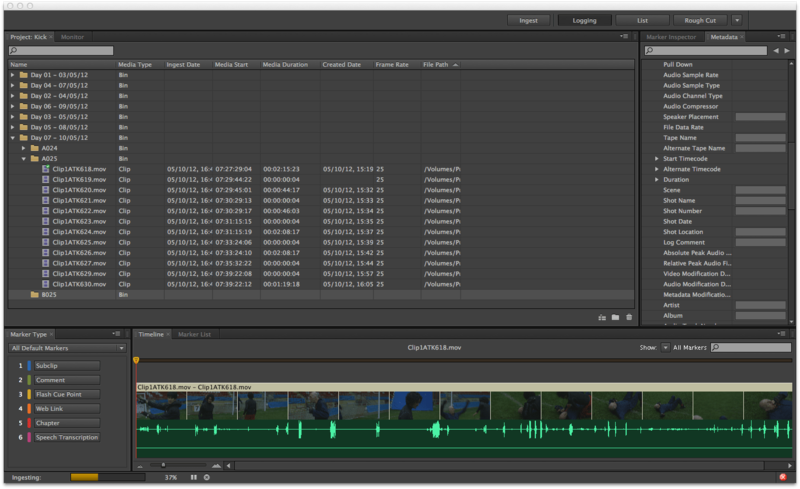 There’s a “rough cut” feature that I didn’t even use, because well, that’s what Premiere is for. There were a few interesting things to see at NAB this year. Not as varied as previous years have been, perhaps due in part to an absence of many of the prominent companies, but good all the same. First up, Adobe. Of course they launched CS5, upgrading their entire product line. In total, there are dozens of improvements across the line, but one, seemingly innocuous new bit of technology dubbed “content-aware”. This was first demonstrated to me in the form of a “roto brush” in After Effects. The idea being that you draw a loose selection around a foreground object, and After Effects then determines exactly what it is you are trying to isolate. After a few seconds delay, it automatically redefines your selection to create a very convincing roto matte. And best of all, it does it for all frames in the sequence, not just the current one. There are also controls for fine-tuning, such as to account for soft edges, motion blur and so on. Not sure how feasible this would be for feature visual effects work, but certainly for everyone else it will be a real time-saver. The most jaw-dropping moment of NAB for me was the demonstration of the content-aware deletion in Photoshop. There was in image of a horse in a field. A selection was drawn around the horse, and the content-aware deletion was applied. The horse was removed from the scene. Let me back that up a bit. The horse was deleted precisely, which is kind of impressive. But more amazing is that rather than leaving an empty space in the image, the “hole” was filled in by interpolating the content (not just the pixels) of the image. By which I mean the fence behind the horse was automatically generated. Even as I think about it now, I still think it must have been some kind of trick. Wow. Another talking point has been BlackMagicDesign (who recently acquired DaVinci) porting the Resolve grading system for the Mac, and then practically giving it away for under $1000 (although if you want the control surface, that will still cost you an additional $30,000 or so). The technology looks a little dated when compared to some of the heavy-hitters out there, but come on, at this price it’s competing with Apple’s (almost unusable) Color. Arri was showing off its new Alexa camera, which seems to be taking on the Red One, although at a higher price point (and I’ll skip comparing the picture quality of the two to more knowledgeable people, personally I think they produced quite similar results when all is said and done). And speaking of Red, there were a few glimpses of the new Epic camera at some of the events. The FCP user group, although a fun night out, was desperately lacking any talk of Final Cut Pro (with more time devoted to talking about Avid than Apple! ), however there was an interesting concept presented, which was the notion of using the iPad as a control surface for grading (or anything really), which I completely agree is an excellent application (of an otherwise questionable product). Finally I want to thank everyone I spoke to about Synaesthesia. Based on those conversations, I’ve got a couple of new short-term plans for new features. I’m not going to reveal too much now, but one area I will be focussing on is methods for verifying data transfer, and the other is to do with different workflows. Demoing the software on a rusty old laptop also revealed that I need to spend some time looking at speeding up certain processes, so there will be a big push on that too. I’m a big fan of Photoshop. Well, I was a fan of LivePicture first, before that went bust, and when Photoshop first became popular, I preferred Corel PhotoPaint much more, but whenever it was they added multiple levels of undo (well, some roundabout implementation of undo, at least) I made the switch, and never looked back. I loved when they added blending modes– something I think all grading systems could use, and then again with the introduction of adjustment layers. 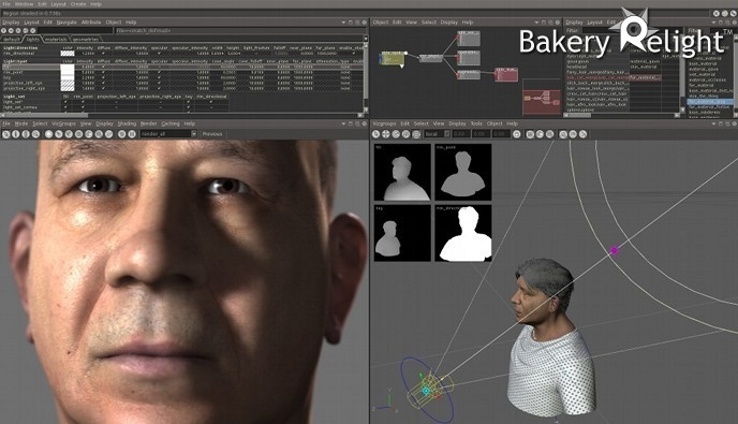 Finally it was turning into a tool that could work in a non-destructive manner. Apparently there’s a beta version of Photoshop CS4 that’s been leaked… recently, but I’ve not read anything that suggests what’s going to be in the next version. Given that the last few releases have mainly focused on workflow improvements, it almost feels like there’s nothing more to be done with it. Today I was doing some pre-viz with a colorist, who was explaining to me that he found it very frustrating to try and correct images with Photoshop’s toolset, that it was much more intuitive to use Baselight even just to work with stills. Surely that can’t be right, I thought. Photoshop has been used, probably by millions of people, to accomplish all sorts of wonderful colour changes. So I went off to try and replicate a Baselight-eque workflow in Photoshop. After a few hours, I realised that it can’t be done. Now, that’s not to say that you can do stuff in Baselight that you can’t do in Photoshop, but it absolutely means you can’t work the same way. For overall changes, there’s no difference between the two: you can use adjustment layers stacked on top of each other in Photoshop to allow non-destructive colour-correction. But secondaries are a different story. It boils down to this: Photoshop’s implementation of vectors is horrible. Really, really horrible. In Baselight (as well as many other grading systems), you’d do something like this: create a shape/mask, add some softness, adjust the colour within the shape, then tweak, tweak, tweak. The closest analogue in Photoshop that I’ve found, is to create an adjustment layer, then use the pen tool or one of the shape tools to create the shape(s). You can then go ahead and modify the adjustment layer to your liking. Because of the way Photoshop is designed, you can tweak this in a lot of ways that you probably couldn’t in a grading system. For instance, you can change the blending mode and opacity of the adjustment layer- effectively giving you control of the overall effect. You can paint on the adjustment layer too, easily combining vectors and pixel-based masked in a single correction. But none of that changes the fact that Photoshop’s vector tools are really bad. I don’t just mean the way the user interface works (although even that is really awful, given the vast number of applications out there which are able to make bezier curve editing effortless), but I mean that they seem like an afterthought. For instance, there is apparently no way to alter the softness of the edge of a shape, without rasterizing it first, at which point you can blur it or whatever to get the desired effect. However, there’s are good reasons that grading systems don’t work this way (aside from the fact we’re working with moving pictures, of course), which are that it’s a destructive process, and it’s much slower (for the user). It’s so clear to me now– Photoshop wants you to work with pixels, not shapes. I can understand that, after all, where you would draw a shape around a balloon in Baselight, in the ‘Shop you could just isolate the balloon onto it’s own layer, and then just tweak that layer to your heart’s content, which theoretically will allow you to create much more accurate masks. You can save every mask you create as a pixel-based alpha channel, so you still have the ability to isolate it again if you want. But there’s the pitfall– if you do something to break the balloon layer, you have to go back to square one in a lot of cases. If you blur (or feather) a selection just a little too much, and don’t realise until it’s too late, then you have to start over (unless you had the foresight to save a copy of the layer just before you feathered it). The vector tools are clearly there for other reasons, and are not meant for doing the sort of things they’re used for in grading systems, and that seems like a real shame, because in combination with the rest of the toolset, they could be very powerful. But then Photoshop’s not supposed to be a vector-based application. 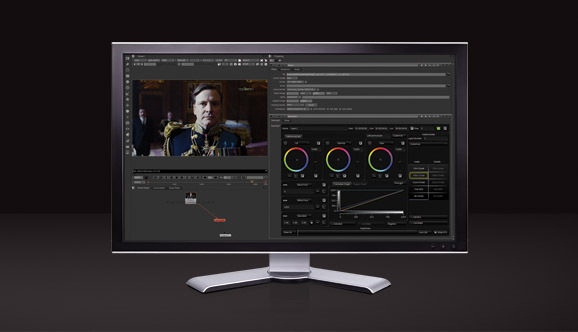 It’s not built to replicate the workflow of a Baselight system, and maybe it doesn’t need to be. But more than that, it seems that it’s just not built for speed.